We’re in the home stretch of our CES 2016 coverage, check out what our friends at ADATA had to show us. Ohhh! Shiny! ADATA had on display their newest line of DDR4 memory, called XPG Dazzle. The new memory has re-designed heatspreaders with LED lights, hence dazzle. 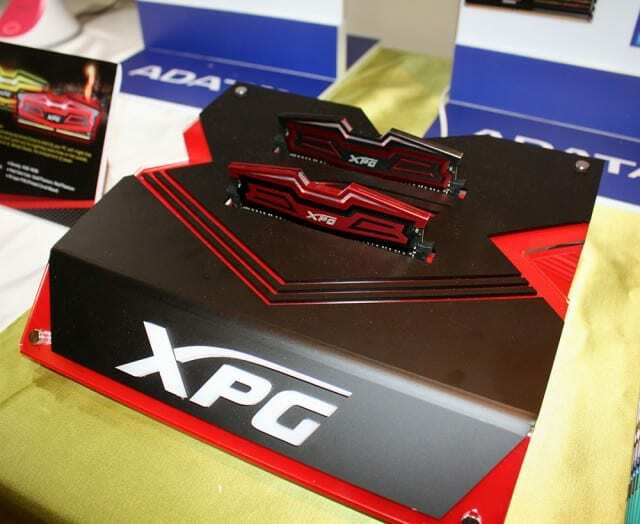 XPG Dazzle will come in 4GB-16GB and speeds from 2400-3200 MHz. Heatspreaders will be black with red highlights, red with black highlights, or yellow with black highlights. These combinations are perfect for ASUS ROG, MSI, or ASRock OC Formula-themed builds. Pricing and availability were not announced. The unnamed 2.5″ PCIe Gen3 x4 SSD from ADATA will be powered by a Marvell and SMI controller with 3D NAND. On display was a 2 TB version, but we expect these to come in several sizes. 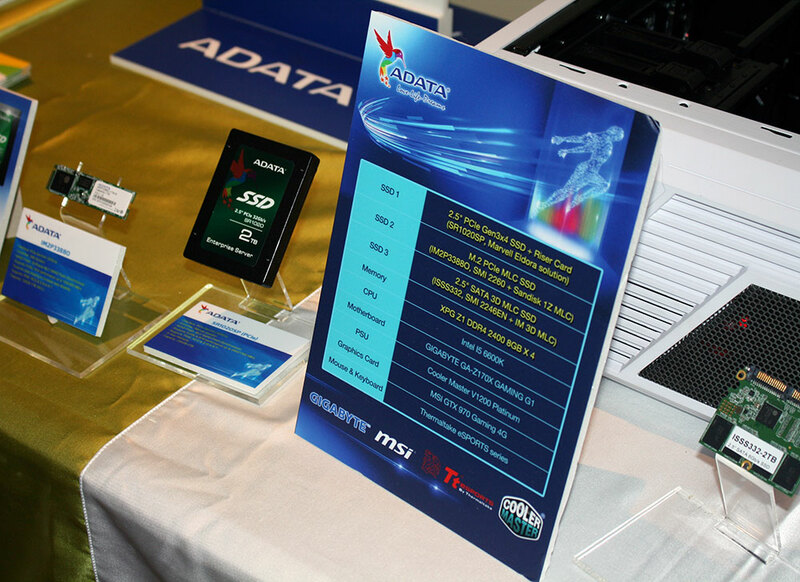 ADATA claims read performance up to 2900 MB/s and write up to 1300 MB/s. ADATA also showed off an M.2 PCIe Gen3 x4 SSD solution will be powered SMI. Read performance will be up to 1500 MB/s and write will be up to 800 MB/s. Neither of these SSD’s are launching soon, nor was pricing available.